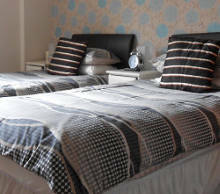 Helen and Martyn aim to provide you with a high standard of accommodation, good food and welcoming hospitality. The Oast Guest House is a well maintained Edwardian House, offering you the convenience of being near to the town centre of Settle, within easy walking distance of the famous Railway Station, and yet quiet enough to relax and enjoy the area. If you want to relax in an informal, comfortable and friendly environment, The Oast Guest House will meet your needs. We are sure that you will enjoy your stay and feel relaxed within this beautiful part of Yorkshire. We are here to help and assist you in any way that we can. 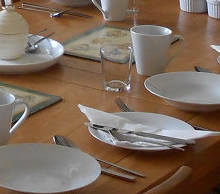 Whatever your requirements we will try to meet your needs whether it is accommodation or dietary based.